By Glen Watson | TAKE A LOOK at the many lists of the world’s best Smart Cities, and usually Singapore is at or near the top along with Barcelona and London. Several Chinese cities (Shenzhen, Hangzhou, Shanghai) are usually up there, too. Places in Japan and Taiwan often make the grade. Hong Kong, well, not so much despite a stated desire by politicians and business people to make it so. Jakarta also seems to be climbing the lists quickly. There are almost as many definitions for Smart City as there are cities in the world. In very basic terms, it means using technology and data to enable the cities to run smoothly and provide citizens with a high quality of life. This can be broken down into six general areas: Transportation, Living, Government, Environment, People, and Economy. There are several types of Smart Cities. Existing cities are called brownfield, while entirely new ones – like the proposed US$500-billion megacity NEOM in Saudi Arabia and Bill Gates’ recent US$80-million purchase of land in Arizona to build a smart city from scratch for more than 100,000 people – are called greenfield. In places like Hong Kong, there’s a bit of a mix or hybrid of both. Kwun Tong is an existing area that is being redeveloped within a Smart City. Singapore’s rise to the top of the Smart Cities list has a lot to do with geography and history – much has happened on this tiny island over the past 50 years or so. Plus, Singaporeans seem to adapt quickly to new technologies. The Smart Nation goal is admirable, as long as it’s done right. Cities and citizens around the world are taking notes, as are startups who have something to add to the Smart Cities ecosystem. Yet according to this writer for Wired UK, it isn’t as rosy as those in the Lion City would like outsiders to believe. “From New York to New Delhi, few ‘smart cities’ can match Singapore’s commitment to experimentation,” writes Sara M Watson for Wired UK (July 2017). “A state rich in capital and without lobbies to block pilot projects, when Singapore decides to implement, it does so nimbly and quickly… In Singapore, it’s called Smart Nation, a master plan for development to make the ‘little red dot’ a global technology leader. “Yet even in this efficient, technocratic island paradise, not everything runs smoothly. Delays to the Smart Nation plan have triggered at least three different government reorganisations in as many years, with Singapore’s prime minister Lee Hsien Loong admitting that the programme is ‘not moving as fast as [it] ought to’. Rich data from an expansive sensor network has yet to be integrated across government. Plans for interoperable cashless payments fight against proprietary banking systems. Perhaps Singapore is a model for what happens when Smart Cities go to far, or too fast. Yet in his article for this issue of Jumpstart mag, ConnectedLife Founder Daryl Arnold writes that the technology is meant to reduce stress and anxiety. “Smartness is simply not about how advanced or complex a technology is, but how well technology is used to solve problems and address challenges. A smart city must use technology in ways that make a positive impact in the lives of its citizens,” Arnold says. In this issue’s Guest Columns, soCash Founder Hari Sivan in Singapore argues that cash is still king in Asia and is here to stay. “In Singapore, despite the availability of cashless solutions, merchants still prefer cash. This is especially so for Singapore’s SMEs, who are major contributors to the national income but may not have the same amount of capital as MNCs. Some might call what’s happening in Singapore teething problems, or lessons to be learned, but as far as Smart Cities go it’s leading the pack – we’re just not exactly sure where. Sometimes, Hong Kong gets wrapped up in its own vortex and doesn’t notice what’s going on outside of it. Despite throwing billions of dollars around for education, facilities, services and so on to develop R&D, startups, a Smart City initiative, and much more, it still lags behind other Smart Cities in Asia… nevermind Singapore. While writing this piece, the news headlines are all about Uber after 23 drivers aged between 22 and 60 pleaded not guilty to one count of driving a motor vehicle for the carriage of passengers for hire or reward. Under Hong Kong law, using a car for hire without a permit is a criminal offence punishable by a HK$5,000 fine and three months’ imprisonment on the first conviction and HK$10,000 and six months’ imprisonment on subsequent conviction. The 22 men and one woman were released on HK$1,000 bail and are to reappear in court on Feb 1 for a pre-trial review. “We continue to support driver-partners, including any necessary legal assistance,” an Uber spokesman says. Five Uber drivers who were previously found guilty of driving without such permits and third-party insurance in a landmark trial have lodged an appeal. Seems strange that a city with Smart ambitions would grant Uber the right to do business here, yet the police and courts are punishing the drivers based on road regulations from 1977. Google released a white paper recently about Hong Kong becoming a digital Smart City. Among the findings, 97% of Hong Kong residents recognize the term Smart City. They perceive saving time/ increase efficiency (50%), enhancing the quality of life (42%), and maximizing digital connectivity (36%) being the top three benefits of a Smart City. Hong Kong (59%) was ranked the third Smart City by Hongkongers, behind Singapore (65%) and Tokyo (77%). As for perceived digital savviness vs actual, 81% of Hong Kong smartphone users believe they are digital savvy, yet 42% of Hong Kong smartphone users are actually digital savvy. Hong Kong consumers have high expectation for digital transformation, with 62% of consumers expecting very fast/ fast digital transformation with breakthrough technologies changing the way they live over the next two years. The Google paper, done in conjunction with Neilsen, recommends that corporates understand the consumer journey, commit to digitization transformation and develop the digital talent, and invest in key technologies to boost corporate digital capability. It also recommends that policymakers attract and invest in digital talent, invest in incubators and entrepreneurs, leverage and apply corporate sector technologies, promote proven best practices, and maintain a free and open internet. But on the bright side, there’s Hong Kong startup TNG Wallet and it’s disrupting the financial services industry by leaps and bounds. TNG raised US$115 million in series A funding last year, a record for a tech startup in HK. Jumpstart sat down for a 90-minute chat with Founder and CEO Alex Kong, and it was fascinating to hear about what TNG’s digital wallet can do, and what it will do in the future. Best of all, the financial services sector is scrambling a bit to catch up while TNG is expanding beyond Hong Kong to Asian and European markets. The Hong Kong Government appears to be trying to keep up or catch up, as seen in Chief Executive Carrie Lam Cheng’s October policy address. The Government is taking a step in the right direction by diversifying the economy and attracting more investment. She outlined her goal to nurture new businesses and retain talent with incentives including slashing tax on the first HK$2 million of company profits, raising tax deductions for spending on R&D from 100 percent to 300 percent on the first HK$2 million and 200 percent thereafter, and more university research funds. It will be an interesting year as Hong Kong continues its journey to become not just a Smart City, but a smarter one, too. There’s no denying that China is advancing full steam into creating Smart Cities, and the starting point might well have been Alibaba Founder Jack Ma’s home city of Hangzhou. Since 2016, the results have been remarkable with 21 million people having a card that allows them to withdraw money from ATMs, hire bikes, access their gym membership, and many other options. The partnership also created an enhanced traffic management system that reduces congestion, improving traffic speed up to 11%, according to recent articles by SCMP (owned by Alibaba Group) and calvinayre.com. Alibaba is one of 13 public companies working with the Chinese government to use their expertise to turn the country with the largest population in the world, into a Smart Country. Alibaba is working with Macau to create a cloud computing data centre and data mapping of information for the government by 2019. The second phase will use that data, coupled with Alibaba’s Artificial Intelligence (AI), and Deep Learning systems, to create improve the city’s environment, customs clearance, and financial forecasting. Also in the pipeline are improvements to healthcare, transportation, governance, tourism, and education. Up north, Chinese President Xi Jinping is planning to build a dream city near Beijing from scratch – featuring IT, biotech, new energy and new materials companies – called Xiongan. To attract companies with the best cutting-edge technology, the city will offer premium public services including housing, education, and medical services to compete with Shenzhen and other cities that are also vying for talent and investments. Meanwhile, as Huawei’s Zheng Zhibin explains in this issue, apart from developing Chinese Smart Cities – such as Shenzhen, Weifang, Zibo, Guiyang, and Huangpu in Shanghai – Huawei is also dedicated to developing Smart Cities on a global scale. Privacy is a major pitfall and the largest area of controversy when it comes to smart city technology. Concerns over surveillance, data leaks and other perceived (or actual) loss of freedoms are a major barrier to Smart City technology adoption, according to Jonathan Cummings, the Chairman HK and Group Business Director for retail and brand consultancy FITCH. For this reason more than any other, he believes it’s vital that change management programs within cities start with the citizen and how their life can be improved, before working outwards from there and finding the right technical solutions to enable such change. All too often the process starts with the technology and the impact on the citizen comes too far down the chain of consideration. “I’d like to see design-lead approach rather than a technology-led approach to Smart City development,” says Cummings. “Technology should be considered as an enabler rather than as a driver of change. So what are the problems we’re trying to solve for the humans that inhibit our cities? And then how can we solve those problems through creative design thinking, enabled by technology where required, and enhanced by the smart use of data. In Canada, Google’s urban innovation offshoot Sidewalk Labs is doing a hybrid project with the City of Toronto to redevelop Quayside in the eastern waterfront Port Lands district using technology to try to remake the modern city. Sidewalk Toronto will combine forward-thinking urban design and new digital technology to create people-centered neighborhoods that achieve precedent-setting levels of sustainability, affordability, mobility, and economic opportunity. “We looked all over the world for the perfect place to bring this vision to life and we found it here in Toronto,” says Dan Doctoroff, Chief Executive of Alphabet’s New York-based Sidewalk Labs. Among the politicians and VIPs at the announcement in October were Prime Minister Justin Trudeau and Eric Schmidt, Executive Chairman of Google’s parent company Alphabet. Sidewalk Labs and Waterfront Toronto will work with the City to bring urban innovations advanced at Quayside to scale in the Port Lands, the primarily publicly-owned area of more than 325 hectares (800 acres), one of North America’s largest areas of underdeveloped urban land. 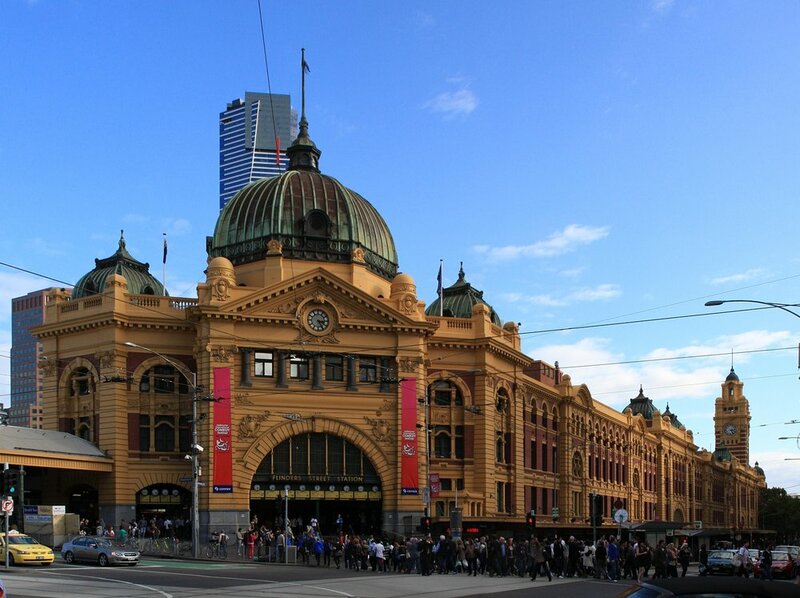 The Smart Cities Expo World Forum takes place Feb 19-20 in Melbourne, Australia. It aims to educate people towards smart cities and urban planning technologies, strive for innovation, promote business and connect thousands of attendees from around the globe. The organizers aim to provide a platform where public business managers, directors, urban administrators, international authorities responsible for developing urban policies can offer their services for the development of smart cities. The conference program covers Smart City Vertical Applications such as Smart Grid, Smart Transportation, Smart Health, Smart Building Management Systems, Enterprise IoT, Fog computing, Big Data Analytics and Smart Governance.